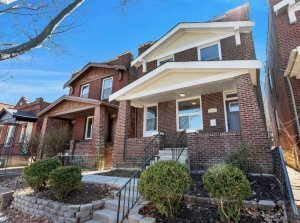 We Buy Houses in St. Louis, Missouri! Call (855) 741-4848 Today For Your CASH Offer! 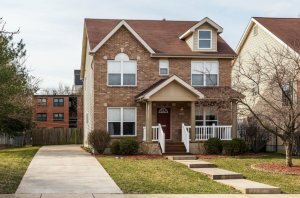 How do you intend to sell a residential property in St. Louis, Missouri? It could be your primary residence right now or a second property you own. It may be an old property you have inherited or one of the recent investments you have made that must be liquidated. There can be various reasons for you to sell any type of residential property. The specific reason will influence your options. A swanky house can get sufficient traction online. Hoarder houses cannot be sold through the usual listing services. You might have to appoint a realtor regardless of the type of house you are selling. Unless you have an extremely favorable proposition for homebuyers, you are unlikely to have a convenient experience any which way you try to sell the house. Most sellers will hire a realtor. This is the most obvious step to take to sell residential properties. However, hiring a real estate agent does not guarantee a quick sale. It does not guarantee a sale either. Many properties go unsold for a long time. Realtors are facilitators. They can try to influence buyers but they cannot decide on their behalf. At the end of the day, it is the buyer who will decide whether or not a property at a given asking price is worthwhile. 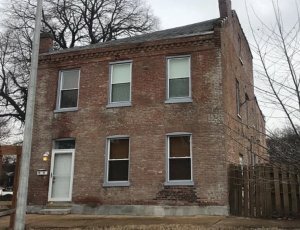 There are properties in St. Louis that have remained listed for over a year and are yet unsold. These residential properties are now the least desirable among buyers. You do not want your house to remain unsold for months. Its value will depreciate. The market will notice that no one is interested in buying the property. You may have a crisis and there will be a net loss if you have to reduce the asking price drastically. Realtors charge a hefty commission. This is payable at the time of the sale. They also work on advertising or promoting a property. Such a service is chargeable. All marketing costs must be paid for by the owner of a property or the seller, which is you. In addition to the commission and the cost of listing, online advertising and other promotions, there is a plethora of expenses including property inspection, staging, appraisal and repairs or renovations. You can avoid all these expenses if you want. Spending so much money and being obligated to pay the commission to the appointed realtor will not guarantee a sale. You may end up spending thousands of dollars and still wait for months before you get a buyer who agrees to pay the ask price. Spending lots of money and then being compelled to reduce the asking price or waiting for a long time to sell the house is definitely not a favorable scenario for any seller. A realtor is not a buyer. You have to look for a buyer, whether or not you appoint a real estate agent. Buyers of houses are usually families. Very few people buy houses unless they need enough space for two or more family members. Singles and even couples who are yet to start a family find smaller dwellings much more practical. Since houses are mostly purchased by families, too many preferences become decisive and the contemplation becomes complicated. Every family has specific needs pertaining to the type and size of the house, the layout including the floor plan, the quality of construction and architecture, the exact location and not just the neighborhood, the present condition and the plethora of fixtures that the property must have to be deemed inhabitable. There is a long list and a shortlist of preferences. Many buyers will be willing to ignore some of the preferences on the long list if the shortlist is absolutely satiated. The preferences in the shortlist become the major criteria and no buyer will want to compromise on these. If you own a house that can satiate the shortlist of dozens of buyers, then you may have an easier time. The uncertainty still persists since the asking price may be a hurdle. If you cannot satisfy the usual shortlists then you will have a hard time finding a buyer. It is not enough to generate views on online posts and have a few buyers tour the property. There has to be a real offer. There should be tangible developments. Many buyers initiate negotiations with little interest in actually following through. They may only explore their options, only to move ahead with another property. In normal circumstances, a seller has to look for typical buyers. But now there is an option for homeowners. 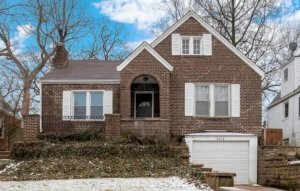 We buy houses in St. Louis, Missouri. You do not need to pursue buyers or even list your house for sale online if you choose our company. We have the simplest, surest and quickest solution for all sellers of residential properties in the city. Dependable Homebuyers is a nationwide company with interest in residential real estate. 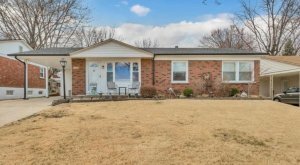 We buy houses in St. Louis and across the state of Missouri. Our company is not a realtor. We do not have listing services. Our quest is not to find ordinary buyers but to acquire properties from the owners. We buy residential properties directly from the owners and sellers who have the power of attorney. For instance, you may inherit a property and that gives you the power of attorney to be the seller. You are also the de-facto owner of such a property. Our solution is the simplest for many reasons and the fact that we deal directly with owners & sellers is a money and time saver for you. Our company buys properties outright. We do not require you to appoint any realtor or other representative. You do not have to change anything in your property. You can contact us and we shall initiate the entire process ourselves. We use our own funds to finance all acquisitions. There is nothing you need to pay to sell the house. All you do is initiate the correspondence and express your intent to sell the house. We will take it from there and complete the entire process with our teams of experts. Quit procrastinating! If you need to sell your property in St. Louis, Missouri, then give us a call at (855) 741-4848! You can sell the house immediately to Dependable Homebuyers. 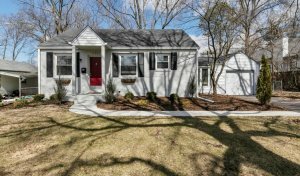 If you are wondering how quickly you can sell the house, then the timeline is around a week. You will get a purchase offer after we view your property and inspect it. An representative will schedule an appointment and a real estate expert will visit the house you want to sell. The real estate expert is not a third party executive. All our experts are a part of the same team at Dependable Homebuyers. The property inspection is completed the same day. It could be tomorrow at the earliest or you can choose a convenient date and time. We take twenty four hours from the time of the viewing & inspection to come up with an offer. This is a real cash offer, not an appraisal or some kind of estimate. The purchase offer is sent to you in writing. This is a detailed proposition. You can consider it, accept it or reject it. There is no obligation to agree to sell immediately but you can. If you choose to sell immediately, then we can complete the sale in a week. 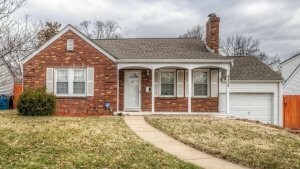 The time taken is usually seven business days when we buy houses in St. Louis, Missouri. You can actually sell a residential property anywhere in the city in a week. It is not possible if you hire a realtor. You will not find a buyer in a week. It is practically impossible to sell a house in ten days or even a fortnight in any traditional way. This is obvious to everyone who has sold a house. It is also clear to everyone who tries to sell a house. Dependable Homebuyers has an unprecedented proposition for homeowners. If you want a quick sale and you wish to move on with a net return on your investment, then give us a call and we will set the whole process in motion. You can also write to us. Fill out the form on our website, provide accurate information and we will call you back. Dependable Homebuyers is not charging any homeowner for its proposition. The property inspection during the viewing is free. The researchers at our office who verify all the information do not have to be paid for by the seller. The purchase offer is free and nonobligatory. There is no service fee or any other type of charge to be paid. We are not a real estate agency. There is no brokerage service and hence no commission to pay. This alone saves you six percent of the selling price, usually up to ten thousand dollars. We pay the unavoidable closing cost. This is two percent of the selling price. These two costs collectively cause a dent of more than ten thousand for most sellers. You can save this entire sum of money. You can easily calculate how much the net return can be amplified when we buy houses in St. Louis, Missouri. We Buy AS IS Houses in St. Louis, Missouri! As a seller, you can save more than ten thousand and not just in commission & closing cost. You do not have to consider repairing anything. Selling a house often calls for renovation. The least you may have to do is repaint the whole house. Realtors insist on painting. They also make staging, property inspection and appraisal mandatory exercises. Real estate agents do not like promoting houses that have problems. They are difficult to sell and the professionals take longer to earn their commissions. You may feel compelled to invest thousands of dollars on various repairs, painting, renovation and even some upgrades. 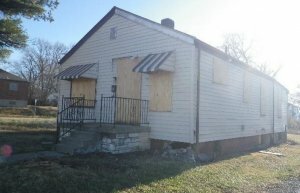 We buy houses in St. Louis in every condition imaginable. We also buy properties in every location. This is a major hurdle for sellers. Not every house can be in the most prized location. Ordinary homebuyers will simply continue looking for houses at better locations or they will ask for a substantial reduction in the ask price. Both are not favorable realities for any homeowner trying to sell their property. Such issues are nonexistent when you sell to Dependable Homebuyers. We are not looking for the most desirable property in the fanciest of locations. We are looking for houses to buy at fair prices, regardless of location and the present condition. Dependable Homebuyers will invest in your house after acquiring it. If there is something that needs to be repaired or completely replaced, we will do all that and more. It is pointless for you to invest more money when you can secure a net return on the investment and let the next owner do whatever is needed. Many families feel the need to make changes anyway, even if a property is in a desirable condition. Our company does away with all the typical hurdles. We also simplify the entire sale. These are essentially how and why we buy houses in St. Louis and that too within a week. You can choose to wait for months, spend over ten thousand dollars and deal with the inevitable ambiguity of a sale. You may want to endure the challenges and spend time, effort and money on multiple showings, relentless negotiations and futile follow-ups. You may take the same old route to sell the house and eventually turn to us. Alternatively, you can start by choosing Dependable Homebuyers. 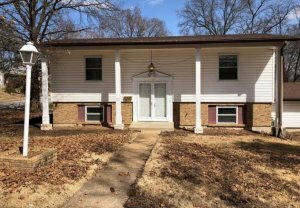 There is absolutely nothing you have to do when we buy houses in St. Louis. You can assess our purchase offer. Since it is free and completely nonobligatory, you can dismiss it if you want or you can accept it if you find it to be fair. If you choose to go ahead, then you will sell the house in the most expedited manner and maximize the net gain. Don’t Delay! We’re ready to give you a fair, cash offer for your St. Louis, Missouri property immediately. No matter the condition, no matter the situation – you can sell your house fast without listing with a real estate agent. Fill out the form below for your no obligation cash offer!